Welcome Spring and welcome back from spring break! There’s lots going on in April (and the rest of our spring cycle) you don’t want to miss. April monthly courses begin NEXT week! Monday Robotics Development Team and Tuesday Minecraft Madness! courses are FULL/CLOSED; however, still open are our Thursday and Friday Robotics and Minecraft Madness! courses. Register now … our Friday Minecraft course is almost full! Do your children love LEGOs and/or our robotics courses? Are they looking to learn more about robotics and programming? Do they want to go beyond ‘just the build’? If you answered yes to any one of these questions (and your kids are in grades 3 to 8) then they are the perfect fit for our Robotics Competition Team. We’re putting together our competition team for the 2018 season. There’s only a limited number of spots and will be on a first come, first serve basis. Learn more about the team and the FIRST LEGO League competition at our Information Session. Registration is required and children are invited. There’s still a few spots left in our April tournament. This is the second to the last one that will be held this academic year. Treat your Minecraft loving kids the the thrill of friendly competition with other like-minded children. Trophy to the top finisher in each age group, take aways for everyone else; snack and water included in registration fee. Register here. We have some awesome NEW courses coming up this spring and summer! Parents searching for courses that combine their children’s love of Minecraft or Roblox with programming … your prayers have been answered! 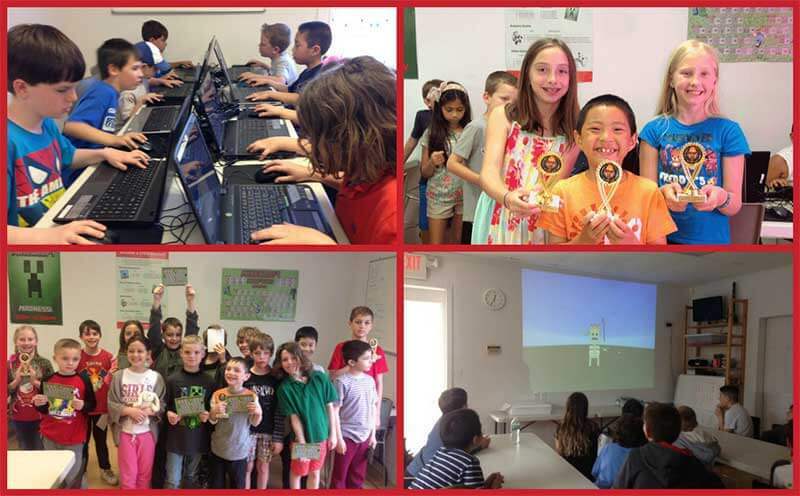 In our Programming with Roblox course offered in May, children will learn the basic concepts in video game design, design a basic game using the platform for Roblox, and get an introduction to the coding language, Lua, used to program their game. We are also offering our Programming with Minecraft mini course in June. In this course, kids will learn to make mods for their beloved game, Minecraft. Using programming blocks similar to the Scratch programming language, your children will learn basic programming vocabulary and computational thinking to make some amazing mods. And, don’t forget about our SUMMER COURSES! Summer is a great time to introduce your kids to all the fun STEM courses we have to offer. Registration is flexible and families can sign up for one, two, or all three courses.